Getting Ready For 4th Grade Visitors! Each year we have our fourth graders come for a visit. It's part of our transition to middle school. It takes a lot of planning and putting together, but it is a special program for both the current 5th graders and our soon to be 5th graders. 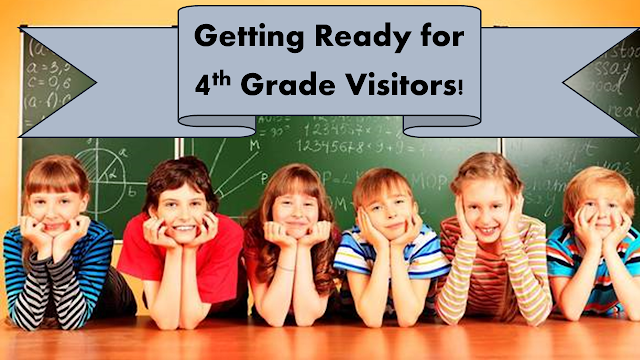 Starting in January, I contact the 4th grade teachers to start planning dates that the students can come. I also need to put in a bus request to transfer our students from one building to another, as well as, contact our dining services manager to let her know when the 4th graders will be eating lunch in our building. In addition, my lunch bunch students begin working on videos to show the 4th graders. They do a "Welcome to Middle School Video" and we will also show our "Everybody" video that is about how we include everybody and how at Lansing Middle School, bullies are not welcome. 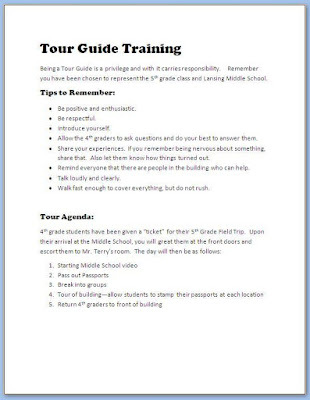 Today, was my tour guide training. 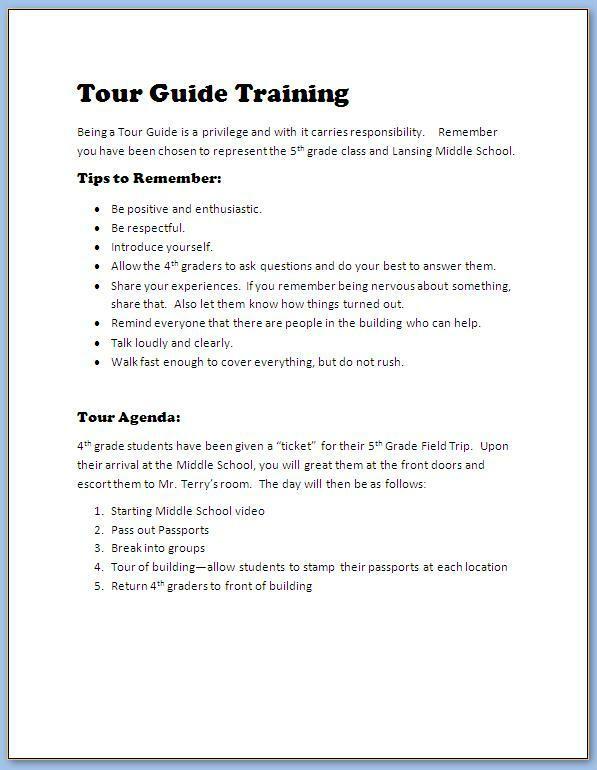 I spent lunch with 30 students going over the rules of being a tour guide and talking about what makes for a great tour guide? We talk about what it was like for them when they were in 4th grade and making the transition. How did they feel? What were they worried about? What kind of impression did they want the 4th graders to have when they come to visit? "I will be sort of a comedian!" "I am going to be kind and helpful to the kids, be a good example, and be awesome!" "have fun and be respectful"
"I will teach them all the tricks and tips." "I'm gonna be kind, funny, confident, and smile for the entire time." "I'll allow them to ask me questions. I'll talk loudly and clearly. I'll walk fast. I'll be positive and respectful." As you can see by there responses, I think I have a pretty good group! Over the week, our 4th graders will come to visit. 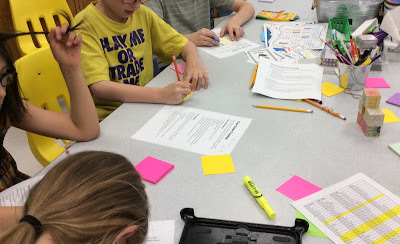 I will have my Lunch Buddies, who will meet the students as they get off the bus, walk them to recess or lunch and then talk with them about the middle school rules and what they learned over the last year. Then when lunch and recess is over they will walk them down to my room to meet the tour guides who will waiting for them. Locker practice and the showing of a few middle school videos will round out their time with us. If you need help putting together your own program, you can get this one in my TpT store. It has the training materials and worksheets to make your incoming students feel special and welcome. Here is the link. In addition, here are a few older posts about the transition program. Planning a transition to middle school event. 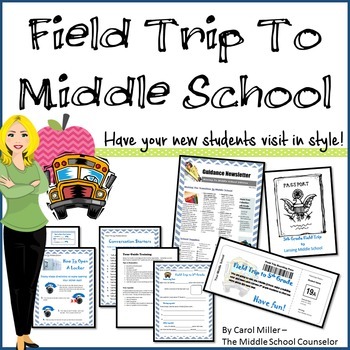 I'd love to hear what you do for middle school transition. Leave a comment below and let me know!